Well, it’s been a minute or two since I’ve posted, friends. What can I say – end of the school year craziness combined with Memorial Day fun and work projects left me a little pressed for time! You know how it goes. Anyway, my kids are off of school now (yay? ), and I’m going to have to figure out how to get some projects done while they’re home (short of locking them in their bedrooms for an hour or two each day. (I kid, I kid.)). To help with that, this week I got my little guy involved in helping make some fun Bubble Paint Tea Towels for the kitchen! I needed a new set of tea towels for the summer months (my most recent set said “Hello Spring,” so clearly they had to go), so we decided to make some together. 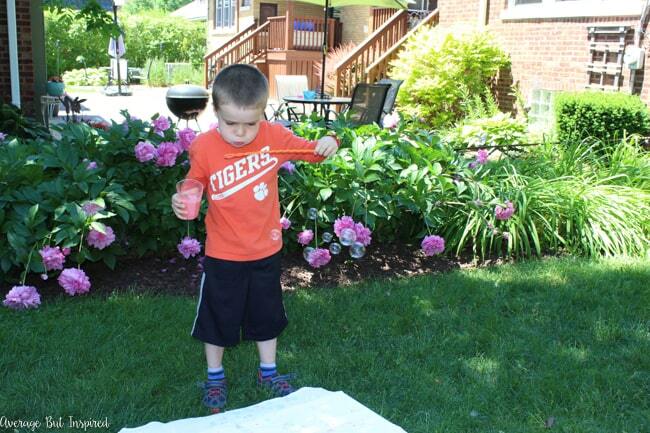 And what says summer more than bubbles (OK, probably a lot of things, but bubbles is high up on the list!)? 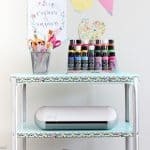 This was a perfect project to have kids involved with! This post contains affiliate links, which means I earn a small commission at no added cost to you if you purchase through them. To read my full disclosure policy, please click here. Learn from my mistakes and don’t do what I did! I tried to make my bubble paint by using dish soap, but I couldn’t get the consistency right to actually make bubbles. 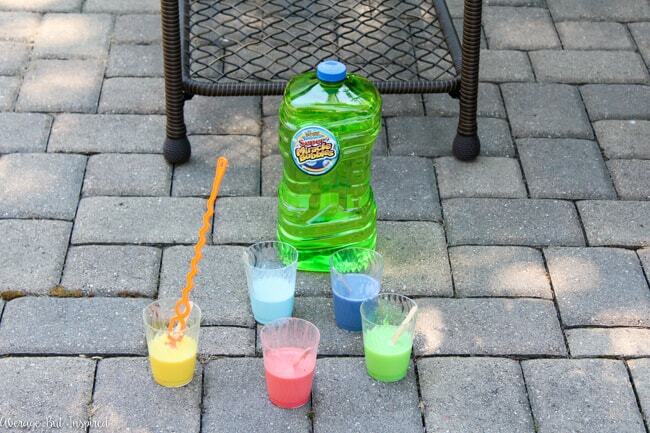 Skip that and go straight to the good stuff – your kids’ bubble solution. 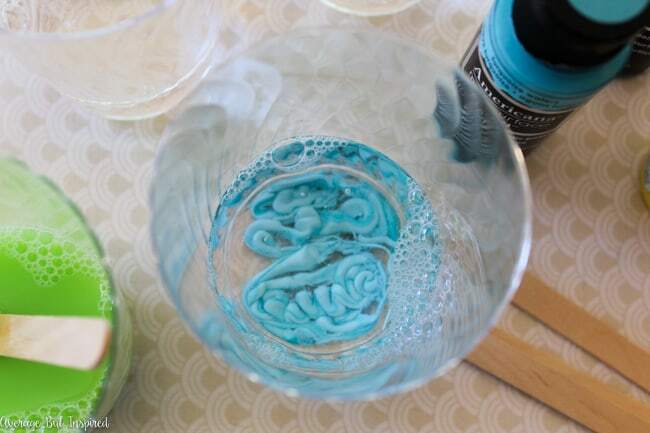 Pour some into a cup and add multi-surface acrylic paint to it. 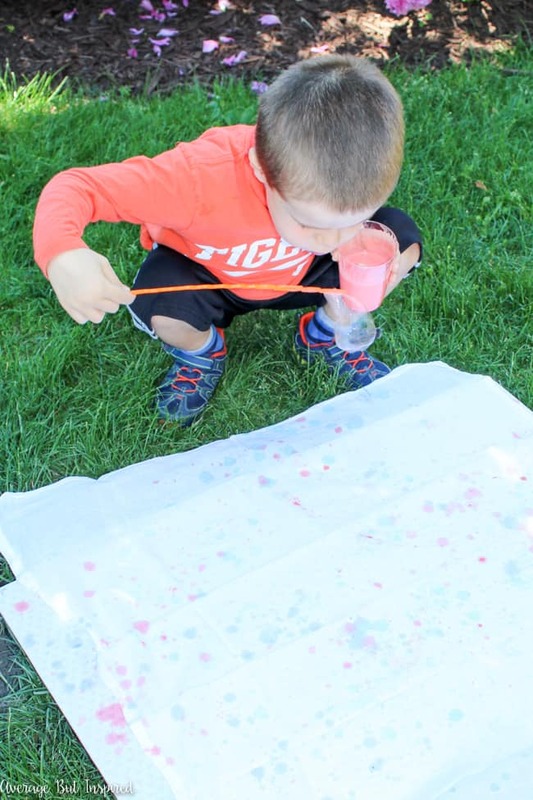 Stir it all up and you’ll have beautiful bubble paint! This project gets a little messy, so I’d recommend heading outside. Bring a foam board or piece of cardboard with you and tape a white tea towel to the board so that it lies flat. Then have fun with your kids (or by yourself – no shame! 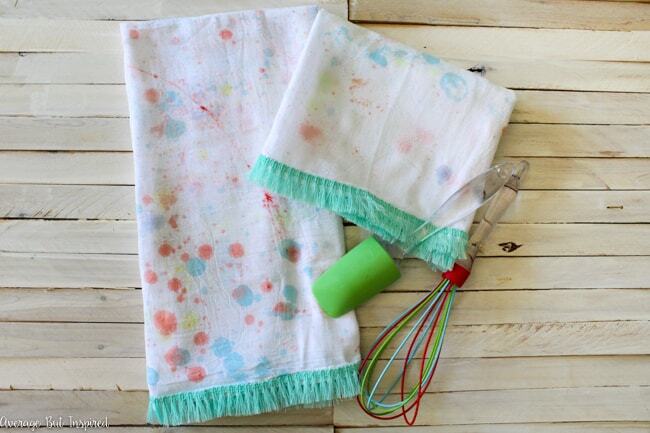 ), blowing paint bubbles all over the tea towel! 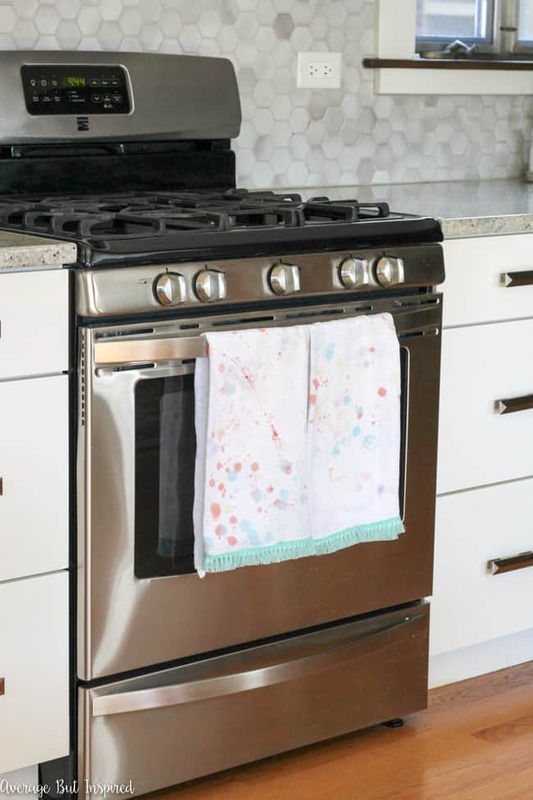 You’ll probably have to move around a lot, depending on how the breeze is blowing, and you may even run after some good bubbles with your tea towel board. It’s okay; embrace the crazy. 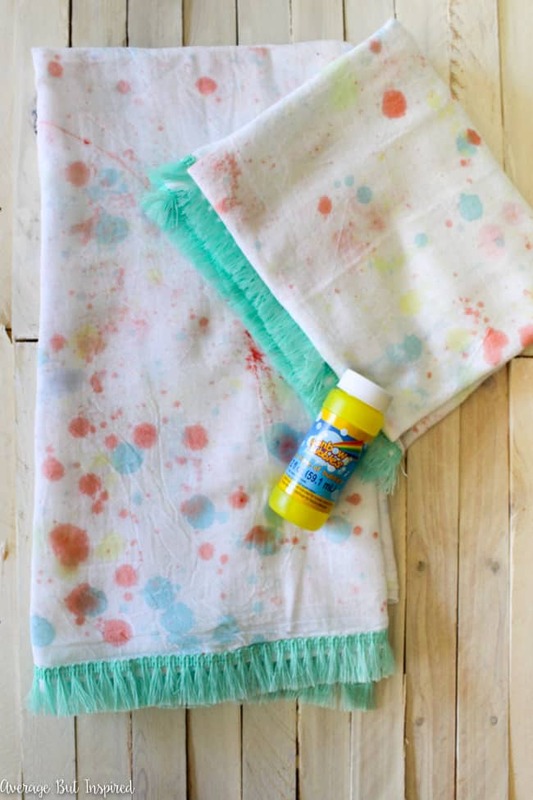 We figured out that it works best if you get really close to the tea towel and blow the bubble right near it. Less chance of escaping; better chance of popping. Let the tea towel dry thoroughly before bringing it inside. Once it’s dry, embellish with fringe or other trim of your choice. 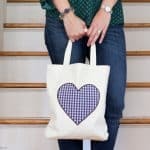 I just glued it on with fabric glue so it was a super easy addition! 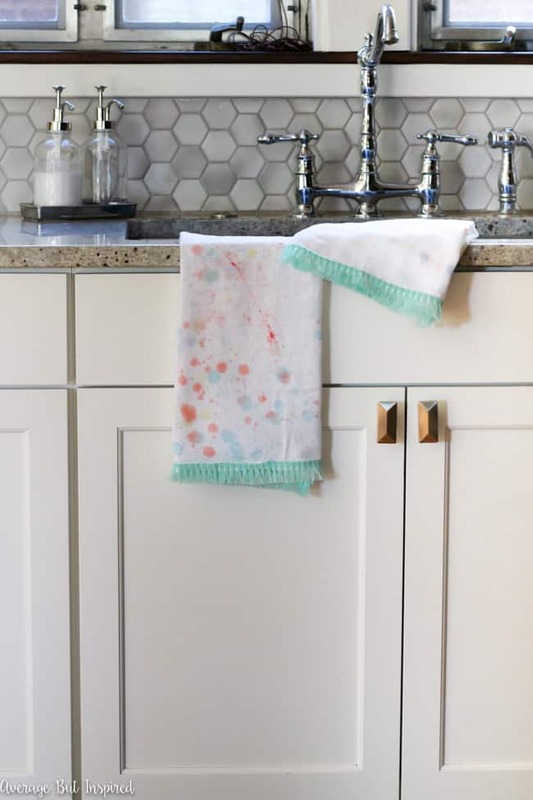 After the trim glue dries, hang up your new tea towels and add a summery touch to your kitchen! 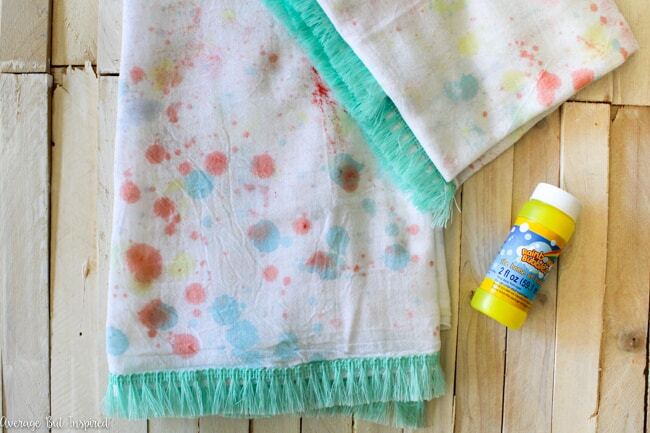 If tea towels aren’t your thing, try bubble painting on a blank canvas. Your kids would love it and you might end up with some cool modern art for your home! 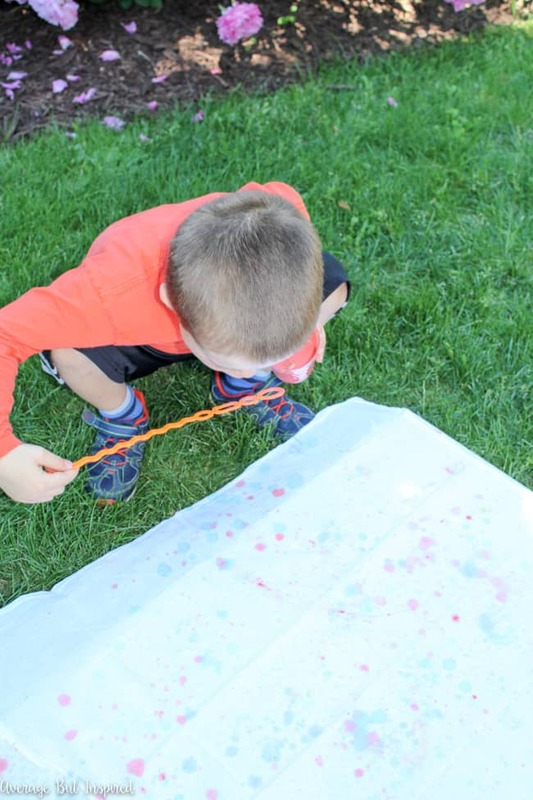 How do you know how much paint to add to the bubbles?